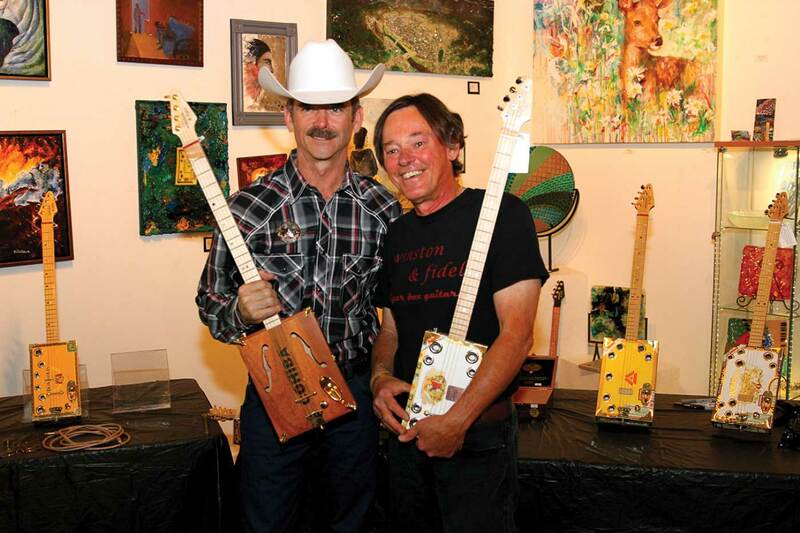 Meet the Calgary makers behind these cool effects pedals, guitar picks and cigar-box guitars. Calgarians are quick to point to artists like Feist and Jann Arden as our city’s musical treasures. But the city is also spoiled with talented makers of instruments, equipment and accessories such as these. When Juan Ortiz started learning to build effects pedals soon after he finished high school, he had no idea his musical heroes would one day bring his work to the stage. While his early results were unsatisfactory, Ortiz persisted and eventually taught himself the craft with the help of online forums inhabited by his fellow obsessives. 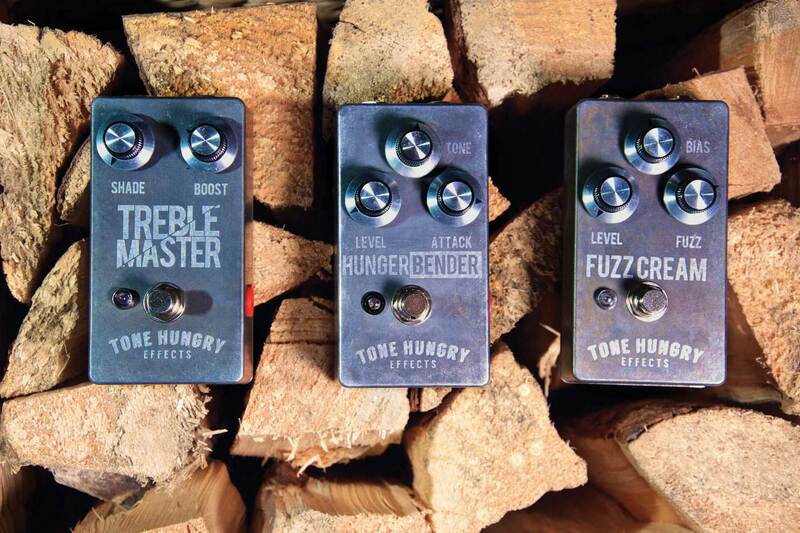 Since founding his company Tone Hungry Effects in 2013, he has sold and given pedals to people across the globe, including members of American heavy metal groups like Baroness and Sleep. Here at home, Ortiz uses his creations while playing with his own band Heavydive. Adam Chiasson’s business success proves that not all who hesitate are lost. Chiasson grew up in rural Cape Breton, Nova Scotia, and he’s a handy guy. 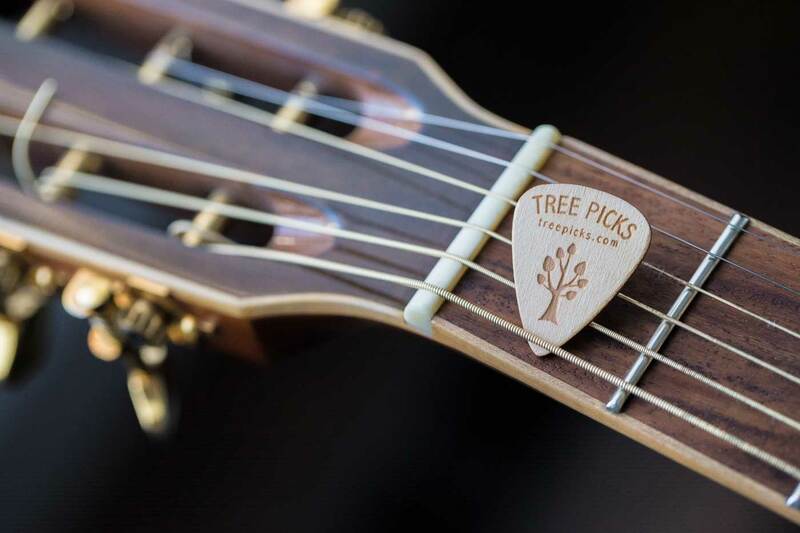 One day he noticed a piece of wood in his garage that he had bought four years earlier with the intention of turning it into guitar picks. Less than two years after rediscovering that piece of wood in his garage, Chiasson is happily struggling to keep up with the rush of orders coming in to his company, Tree Picks. Chiasson’s one-man operation gets its name, in part, from the fact that he makes wooden picks that produce a different tone than standard, plastic picks. He currently produces picks from five kinds of wood and will start planting a tree for each one sold during a trip back to Cape Breton this summer. Mark Kost is a retired aircraft mechanic with a passion for building things. He found out about cigar-box guitars when a friend suggested the cult instrument to him as a DIY project. Cigar-box guitars are something of a mad science, originally made from whatever material could be scrounged during hard times. They are most commonly associated with the blues. “The sound is different from a regular guitar. It’s dirtier, harder and tougher,” Kost says. Kost’s company, Winston & Fidel, is mostly a hobby enterprise and a way for him to share his love for these oddball instruments. But his guitars have attracted clients from as far away as South America. Perhaps the most famous Winston & Fidel guitar owner is Colonel Chris Hadfield, who signed one for a charity auction and — at Kost’s insistence — accepted the gift of an Alberta Redneck model. Winston & Fidel cigar-box guitars are available both on the company’s web store and at The Tobacco Outlet’s three locations in Calgary. This article appears in the April 2019 issue of Avenue Calgary.